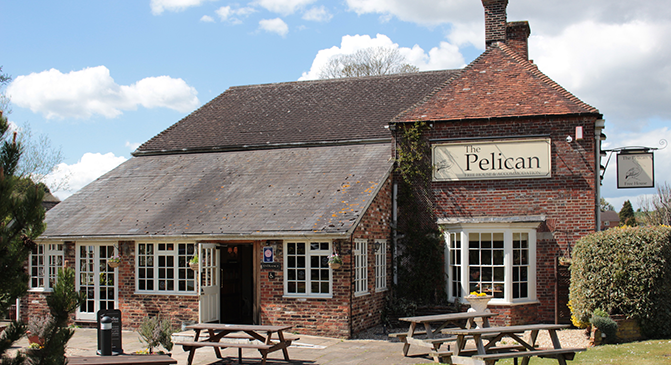 The 17th century Pelican Inn, is a well known landmark in the village of Froxfield on the A4 between Marlborough and Hungerford. It is just 8 miles from J14 of the M4. Following refurbishment, The Pelican is now a contemporary Pub with Rooms, with a growing reputation since Kirsty took over in November 2012. There is ample well lit FREE on site parking which is easily accessible from the road. Jane Forrest is a fascinating lady! She is both an author and blogger under the name, J Merrill Forrest However, she is also passionate about the work she does training Guide Dogs for the Blind. So this evening will be all about a behind the scene look at this amazing charity. In addition, on Wednesday, July 3rd between 3-5pm there will be an opportunity to meet and greet some of these gorgeous guide dog puppies at Savernake View, so do pop that date in your diaries too. It's clear we will need more than one evening with Jane. We currently have no events listed for the .